This is what they don't want you to see from the original Wills Act, section 4 and 6 is hidden in more recent published legislation, below is the full Wills act. Pay good attention to paragraph 4 to 6 (highlighted in yellow) this is where, if you don't have a will and testament, the state/government will gladly do it for you. 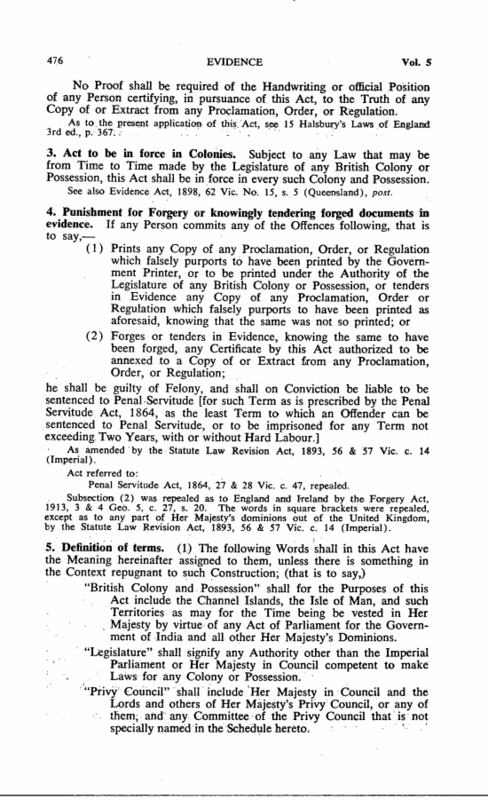 The short title was given to this Act by the Short Titles Act, 1896 (c. 14). As to the effect on this Act of the Law of Property Act, 1922 (c. 16), see the Law of Property Act, 1924 (c. 5), s.9, Sched. 9 (3), Vol. 15, title REAL PROPERTY pp. 169, 174. "Appointment by will in exercise of a power." As to what form of document amounts to an appointment by will in exercise of a power, see Re Barnett, Dawes v. Ixer,  1 Ch. 402. See also s.27, and notes, p.446, post. "Personal estate." - See Re Grassi , Stubberfield v. Grassi,  1 Ch. 584, 590. As to the extent to which a general devise of personal estate will operate as an exercise of a power of appointment, see Chandler v. Pocock (1880), 15 Ch. D. 491; affirmed on appeal, 16 Ch. D. 648; and s.27, and notes, p. 446, post. For Stat. (1660) 12 Car. 2, c. 24 (abolition of old tenures), see Vol. 15, title REAL PROPERTY, p. 58. "Every person" These words do not extend to persons under legal disability by reason either of infirmity of mind or want of age. A person who is lunatic or, non compos mentis cannot during the continuance of his unsoundness of mind make a will, but a will made by him during a lucid interval will be valid (White v. Driver (1809), 1 Phillim. 84. As to testamentary capacity in relation to lunatics generally, see Halsbury's Laws of England, Vol. 28,p.532, and the English and Empire Digest, Vol. 33, pp. 141 et seq. As to want of age, see s. 7, p. 440, post. "Will"- S. 1 provides that in the Act the word "will" shall extend to a testament, and to a codicil, and to an appointment by will or by writing in the nature of a will in exercise of a power (see Re Barnett, Dawes v. Ixer,  1 Ch. 402). Formerly a distinction was made in the use of the terms "will" and "testament." The distinction is said to be that "will", is a general term, and that where lands or tenements are devised, though no executor is appointed, the instrument is properly called a will, and. that where it concerns chattels only and appoints an executor, it is called a testament (see Halsbury's Laws of England, Vol. 28, p. 505, n.). The distinction, however, was never rigidly adhered to. "All real estate." There is a devisable interest in land held under a possessory title (see Asher v. Whitlock (1865), L.R. 1 Q.B. 1, and Calder v. Alexander (1900), 16 T.L.R. 294). "All personal estate, etc." - This section does not make any kind of personalty bequeathable which was not bequeathable before, but only, as regards that kind of property, regulates the form of executing wills. It does not empower a testator to bequeath a chose in action so as to pass the right to sue. For instance, it does not enable a testator to bequeath a promissory note made to him so as to pass the right to sue in respect of it to the legatee. In such a case the right to sue would be in the executor (see Bishop v. Curtis (1852), 18 Q.B. 878). "Customary freehold, etc. "-See Preliminary Note, p. 433, ante. "Contingent, executory or other future interests in any real or personal estate." -A spes successionis, or mere expectation or hope of succeeding to property is not within these words ( see Re Parsons, Stockley v. Parsons (1890), 45 Ch.D. 51, and Re Mudge,  1 Ch. 115). For the power of the father or mother to appoint testamentary guardians, see now the Guardianship of Infants Act, 1925 (c. 45), s.5, Vol. 9, title INFANTS AND CHILDREN, p. 822; and in the case of those privileged under s.11 of this Act, p. 442, post, see the Wills (Soldiers and Sailors) Act, 1918 (c. 58), s.4, p. 456, post. Formerly there was a doubt whether the Act extended to the case of a testator dying without heirs and whether in such a case there would not be an escheat, unless the will were executed and attested in accordance with the old law. That doubt, however, has been set at rest by s. 178 of the Law of Property Act, 1925 (c. 20), Vol. 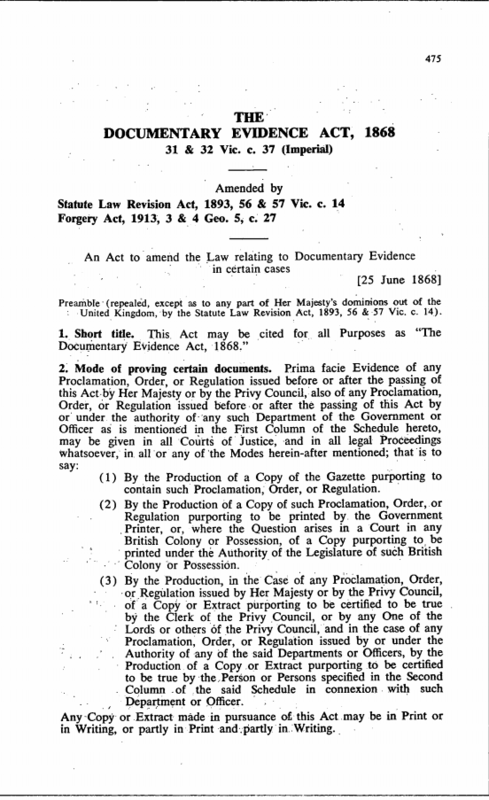 15, title REAL PROPERTY p. 359, which provides that this section shall authorise and be deemed always to have authorised any person to dispose of real property or chattels real by will, notwithstanding that by reason of illegitimacy or otherwise he did not leave an heir or next-of-kin him surviving. See s. 85 of the Copyhold Act, 1894 (c. 46), Vol. 3, title COPYHOLDS, p. 626. As from January 1, 1926, copyhold and customary tenures were abolished, see the Law of Property Act, 1922 (c. 16), s.128, and notes, ibid. p. 633. See note to s.4, ante. 6. Devolution of estates pur autre vie not disposed of by will.- If no disposition by will shall be made of any estate pur autre vie of a freehold nature, the same shall be chargeable in the hands of the heir, if it shall come to him by reason of special occupancy, as assets by descent, as in the case of freehold land in see simple; and in case there shall be no special occupant of any estate pur autre vie, whether freehold or customary freehold, tenant right, customary or copyhold, or of any other tenure, and whether a corporeal or incorporeal hereditament, it shall go to the executor or administrator of the party that had the estate thereof by virtue of the grant; and if the same shall come to the executor or administrator either by reason of a special occupancy or by virtue of this Act, it shall be assets in his hands, and shall go and be applied and distributed in the same manner as the personal estate of the testator or intestate. The only legal estates now capable of subsisting in land being an estate in fee simple absolute or a term of years absolute, estates pur autre vie can now only subsist in the equitable interest in land, legal life estates being abolished (Law of Property Act, 1925 (c.20), s.1(1), (2), (3), Vol. 15, title REAL PROPERTY, p.177). 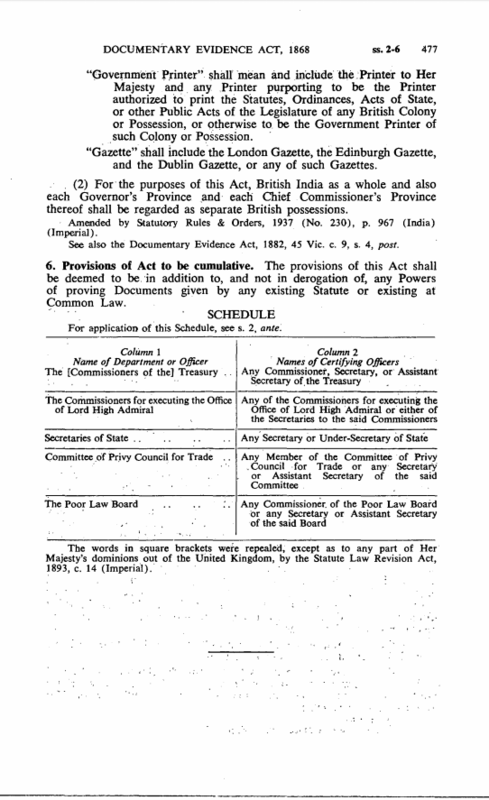 As to special occupancy, see s.1(1) of the Administration of Estates Act, 1925 (c.23), Vol. 8, title EXECUTORS AND ADMINISTRATORS, p.306, by virtue of which real estate to which a deceased person is entitled for an interest not ceasing on his death devolves from time to time on the personal representative of the deceased, in like manner as before the commencement of that Act chattels real devolved from time to time on the personal representative of a deceased person. As to a will by a soldier or sailor though under twenty-one, see s.11 of this Act, and the Wills (Soldiers and Sailors) Act, 1918 (c.58), ss. 1, 3(2), p. 455, post. S. 24, p. 445 post, provides that with reference to the real estate and personal estate comprised in a will shall speak and take effect as if it had been executed immediately before the death of the testator, but this provision does not enlarge the testator's capacity to make a will, and a will made by an infant does not become valid by reason of his attaining the age of twenty-one years before his death. In early times a married woman was incapable of a will. Her will of land was declared void by statute (Stat. (1542-3) 34 & 35, Hen. 8, c. 5 (now repealed)).Her will of personalty was equally invalid, not merely because marriage was a gift of her personalty to her husband, but because in the eye of the law the wife had no existence separate from that of her husband, and no separate contracting or disposing powers. In course of time, however, the rule was modified, and at the time of the passing of this Act, a married woman had some, if also restricted, testamentary powers. But since 1837 a married woman's capacity to make a will has been very greatly increased, in consequence of statutory enlargement of the subjects of separate estate, and of the provisions of, s.3 of the Married Women's Property, Act, 1893 (c. 63), Vol. 9, title HUSBAND and WIFE p. 385, which extended the operation of s.24 of this Act, p. 445, post, to the wills of married women made during coverture. By the Married Women's Property Act, 1882 (c. 75), Vol. 9 title HUSBAND AND WIFE, p. 374, it was provided: (s.1) that a married woman should, in accordance with the provisions of that Act, be capable of disposing by will of any real or personal property as her separate property in the same manner as if she were a feme sole; and (s.2) that every woman who married after the commencement of that Act (January 1, 1883) should be entitled to have and to hold as her separate property and to dispose of in manner aforesaid all real and personal property which should belong to her at the time of marriage, or should be acquired by or devolve upon her after marriage. And by s.37 of the Law of Property Act, 1925 (c. 20), Vol. 15, title REAL PROPERTY p. 214, it was provided that a husband and wife are for all purposes of acquisition of any interest in property under a disposition coming into operation after the commencement of that Act to be treated as two persons. The Married Women's Property Act, 1893 (c. 63), s.3, Vol. 9, title HUSBAND AND WIFE, p. 385, provided that s.24 of this Act, p. 445, post, should apply to the will of a married woman made during coverture, whether she is or is not possessed of or entitled to any separate property at the time of making it, and such will should not require to be re-executed or republished after the death of her husband. By the Supreme Court of Judicature (Consolidation) Act, 1925 (c. 49), s.194, Vol. 9, title HUSBAND AND WIFE p. 402, a wife who has obtained a decree of judicial separation is in. the position of a feme sole in respect of property which she may acquire, and similar provisions are made in respect of a wife who has obtained a protection order under the Matrimonial Causes Acts, 1857 (c. 85), s.21, and 1864 (c. 44), s.1, ibid. pp. 387, 390. Although none of the Acts above referred to confers in terms on married women any general power of testamentary disposition having regard to the great enlargement of the subject of separate estate effected by the Married Women's Property Acts and the extension of s.24 hereof, p.445, post, to the wills of married women made during coverture, a married woman, so far as mere capacity to make a will is concerned, is practically in the same position as if she were single, and she can make a will which will be effectual in the event of her dying in the lifetime of her husband to pass a separate estate, and in the event of surviving her husband, to pass all property of or to which at the time of her death she may be seised, possessed, or entitled, other than property in which she has a mere life interest or a share in joint tenancy, and can by such will exercise any power of disposition by will which may be vested in her. See further, Halsbury's Laws of England, Vol. 28, p.534 and the English and Empire Digest, Vol. 27,p.134. For exception from formalities in the wills of soldiers and sailors, see notes to s.11, p. 442, post. "In writing. "; As to whether a bequest "for the purposes indicated," the purposes being committed to paper by one of the proposed trustees in a separate memorandum, was a violation of the rule that the will must be in writing, see Blackwell v. Blackwell (1929), 145 T.L.R. 208. As to what documents may form a will, see the English and Empire Digest, Vol. 44, pp. 227-248. "At the foot or end thereof. "-Those words were explained and their meaning extended by the Wills Act Amendment Act, 1852 (c. 24), s.1, p. 449, post. A will is sufficiently signed if the signature be placed in such a position as will fall within the terms of the amending Act. It is preferable nevertheless that it should be signed at the foot or end thereof, as it is then seen that it is only intended as a signature. The testator may sign by placing a mark instead of actually writing his name (See In the Goods of Bryce (1839), 2 Curt. 325); and signature by mark is sufficient whether the testator is able to write or not (In the Goods of Glover (1847), 5 Notes of Cases 553, per Cur.). The stamped name of the testator is sufficient, whether the stamp be applied by the testator or by some other person by his direction and in his presence (see Jenkins v. Gaisford and Thring (1863), 3 Sw. & Tr. 93). It has been held that when another person signs for the testator he may sign his own name instead of the testator's (see In the Goods of Clark (1839), 2 Curt. 329). It would, however, be safer not to rely on this doctrine. The signature must be made or acknowledged in the presence of the witnesses simultaneously and not at different times (see Brown v. Skirrow,  P. 3). Acknowledgment by gestures in the joint presence of the witnesses is sufficient (see In the Goods of Martha Davies (1850), 2 Rob. Eccl. 337). To constitute a sufficient acknowledgment the witnesses must at the time of acknowledgment see, or have the opportunity of seeing the signature, and it should be explained to them that the document they are asked to sign is a testamentary instrument (see Pearson v. Pearson (1871), L.R. 2 P. & D. 451). On signature and acknowledgment generally, see the English and Empire Digest, Vol. 44, pp. 249-266. An attesting witness may sign by mark (see In the Goods of Ashmore (1843), 3 Curt. 756) ; and the hand of an attesting witness may be guided by the hand of the other witness or of a third person (see Harrison v. Elvin (1842), 3 Q.B. 117). A witness cannot sign in the name of another person (see In the Goods of Leverington (1886), 11 P. D. 80). One attesting witness cannot sign for another (see In the Goods of White (1843), 2 Notes of Cases, 401) nor can a third person sign for a witness (see In the Goods of Cope (1850), 2 Rob. Eccl. 335). Passing a dry pen over a written signature is not sufficient (see Playne v. Scriven (1849), 1 Rob. Eccl. 772). Though no form of attestation is necessary, it is safer and more convenient that such a clause should be added to every will. It is desirable that the signatures of the witnesses should appear together and near the signature of the testator. A codicil must be executed in the same way as a will; see definition of "will" in s. 1, p. 436, ante. On attestation generally, see the English and Empire Digest, Vol. 44, pp. 266-274. 10. Appointments by will to be executed like other wills, and to be valid, although other required solemnities are not observed. -No appointment made by will, in exercise of any power , shall be valid, unless the same be executed in manner herein-before required; and every will executed in manner herein-before required shall, so far as respects the execution and attestation thereof, be a valid execution of a power of appointment by will, notwithstanding it shall have been expressly required that a will made in exercise of such power should be executed with some additional or other form of execution of solemnity. A power to be exercised by instrument in writing could always be exercised by will (see Orange v Pickford (1858), 4 Dr. 363). It was decided, however, in the case of West v. Ray (1854), Kay 385, that where a power of appointment is to be exercised by a writing under the hand and seal of the donee, it cannot be exercised by a will executed with only the formalities required by this Act, because the essential requisition of the power is that it should be executed under hand and seal, and the statute applies to a power of which the essential requisition is that it should be exercised by will, and the formalities are comparatively unimportant. See, generally, the English and Empire Digest, Vol. 37, p.419, and Vol. 44, pp. 519 et seq. 11. Saving as to wills of soldiers and mariners.-Provided always, that any soldier being in actual military service, or any mariner or seaman being at sea, may dispose of his personal estate as he might have done before the making of this Act. The statutory provisions relating to wills of soldiers, airmen, sailors and seamen are dealt with in the Statute of Frauds, 1677 (c.3), s.22, p. 436, ante; in this section; in the Navy and Marines (Wills) Acts, 1865 (c.72), and 1897 (c.15), pp. 452, 454, post; in the Merchant Shipping Act, 1894 (c.60),s.177, Vol. 18 title SHIPPING, p.227, and in the Wills (Soldiers and Sailors) Act, 1918 (c.58), p.455, post. By this section the privilege covers soldiers on actual military service, mariners or seamen being at sea. This was extended in two respects by the Wills (Soldiers and Sailors) Act, 1918 (c.58). By s.2 of that Act, p.455, post s.11 of this Act is to extend to any member of His Majesty's naval or marine forces not only when he is at sea, but also when so circumstanced that if he were a soldier he would be on actual military service. Further, by s. 5 (2) of the same Act, p.456 post, the term "soldier" is, for the purposes of s. 11 of this Act, to include a member of the Air Force. The will of such a person is not invalid by reason of the testator being under twenty-one (the Wills (Soldiers and Sailors) Act, 1918 (c.58), ss. 1, 3(2), p. 455, post), and a power of appointment may be exercised by an infant soldier (Re Wernher, Wernher v. Best,  2 Ch. 82). It may be made in writing or by word of mouth (In the Estate of Yates, decd.,  P. 93). It is not necessary to prove that he knew he was making a will, or that he had power to make a will while a minor or by word of mouth. It is enough if he intended deliberately to give expression to his wishes as to the disposition of his property in the event of his death (Dalrymple v. Campbell,  P. 7); Re, Beech, Beech v. Public Trustee,  P. 46, at p. 56). If in writing, it may be written in pencil, have only one witness or no witness at all (In the Goods of Farquhar (1846), 4 Notes of Cases, 651, 652; In the Good of Sanders (1865), L.R. 1 P. & D. 16). There are certain restrictions, however, on this freedom from formality in respect to wills by members of the naval or marine forces and by members of the merchant service, where they purport to deal with wages payable by the Admiralty or the Board of Trade. As to the former see the Navy and Marines (Wills) Acts, 1865 (c. 72), and 1897 (c. 15), pp. 452, 454, post, and as to the latter, see the Merchant Shipping Act, 1894 (c. 60), s. 177, Vol. 18, title SHIPPING, p. 227. The will of a seaman or marine is invalid if combined with a power of attorney (s.4 of the Navy and Marines (Wills) Act, 1865 (c. 72), p. 453, post), and by s. 6 of the same Act, provision is made relating to wills by seamen or marines when prisoners of war. Wills of soldiers and sailors, etc., were formerly effective to pass only personal property but are now operative on realty as well., by virtue of the Wills (Soldiers and Sailors) Act, 1918 (c. 58), s.3, p. 455, post. By s. 4, ibid. p. 456, post, power is given to appoint testamentary guardians. S. 15 of this Act, p. 443, post, invalidating gifts to attesting witness, has no application to wills made under the privilege of this section (11) (see Re Limond, Limond v. Cunliffe,  2 Ch. 240), and where witnesses had attested a soldier's will, it was held that it was none the less privileged under s.11, and that gifts to the witnesses were good (ibid.). Return to civil life prior to death does not operate as a revocation of the will (In the Goods of Coleman,  2 I.R. 332); formalities are not required to effectuate revocation (In the estate of Gossage Wood v. Gossage,  P. 194). As to who is a soldier or a sailor for the purposes of this privilege, and what constitutes being on "actual military service," or "being at sea," see the English and Empire Digest, Vol. 39, pp. 332 et seq Vol. 44, pp. 304, 305. "Publication" was a declaration by the testator in the presence of witnesses that the instrument produced to them was his will. Its place is now taken by the proper attestation by two witnesses. As to the competence of witnesses, see Halsbury's Laws of England, Vol. 13 pp. 569, 570. As to the application of this section to the will of a soldier or sailor made under the privilege reserved by s. 11, see the notes to that section, p. 442, ante. The mere fact that witnesses are supernumerary witnesses does not save them from the disqualification under the section, if in fact they are attesting a will which is executed under the affirmative provisions of the Act (see Randfield v. Randfield (1860), 8 H.L. Cas. 225, 232). Where a solicitor is appointed trustee of a will and empowered to make professional charges, he will, if he attests such will, lose his right to profit costs, since such right could only be claimed under the will as a beneficial interest under it (Re Pooley (1888), 40 Ch.D. 1). But a devisee loses nothing by marrying a witness after the execution of the will (Thorpe v. Bestuick (1881), 6 Q.B.D. 311); and this, no doubt, applies equally to a legatee. The section contemplates a beneficial interest to the party, and a witness may therefore be an executor or trustee of the will. As to an executor, see Griffiths v. Griffiths (1871) L.R. 2 P. & D. 300, and s. 17, hereof, post; and as to a trustee, see In the Goods of Ryder (1843), 2 Notes of Cases, 462. The husband or wife of a creditor whose debt is charged on the property by the will may be a witness without impairing the creditors rights ; see s. 16, post. A witness, to a codicil may take a devise under the will even if the codicil confirms the will, or if it revokes legacies given by the will, so as indirectly to increase his share of the residue (Gurney v. Gurney (1855) 3 Drew. 208; Tempest v. Tempest (1856) 2 K. & J. 635). See note to s. 15 ante. As to a will coming within the exception in this section see Re Paul, Public Trustee v. Pearce,  2 Ch. 1. For the revocation of a will by marriage on the validity of a subsequent nuncupative will, see In the Estate of Wardrop (John) (decd. ),  p. 54. See generally the English and Empire Digest, Vol. 44, pp. 318-320. See Re Wells Trusts, Hardisty v. Wells (1889), 42 Ch. D. 616. The cancellation of a will is an equivocal act and of no effect unless there is an intention to revoke (Smith v. Cunningham (1823), 1 Ad. 448). Where a will has been torn up without the testator's authority, he cannot, by any subsequent ratification of the destruction, render the act a valid revocation of the will. If a testator under such circumstances desires that the act of destruction, performed without his authority at the time, should prevail, he has it. in his power effectually to revoke his will in accordance with the Act. He can either execute a document expressly revoking his will or he can make a fresh will dealing with his property in any way 'he chooses (Gill v. Gill,  P. 157, 161, 162). Where the revocation of a will is dependent on a condition which is not fulfilled, such revocation is inoperative (In the Estate of J. R. Southerden, Adams v. Southerden,  P. 177). See also Re Robinson, Lamb v. Robinson,  W.N. 166 (will invalid [sic] under s.15, p. 443, ante-whether effective to revoke earlier will). For revocation of wills of soldiers, sailors, etc., see s. 11, and note, p. 442, ante. As to revocation generally, see Halsbury's Laws of England, Vol. 28, pp. 562-575, and the English and Empire Digest, Vol. 44, pp. 315-365. When a will is altered after execution, the testator and witnesses must place their names or initials (see In the Goods of Blewitt (1880), 5 P. D.,116) opposite or near to such alteration in the margin or elsewhere, or a memorandum referring to the alterations must be written at the end or some other part of the will, and the testator and witnesses must place their names "at the foot or end of" or "opposite to" the memorandum. If alterations are made before execution, it is, although the Act does not require it, prudent to affix the signatures to them or to refer to them in the attestation clause, if any. See also Halsbury's Laws of England, Vol. 28, pp. 559-561, and the English and Empire Digest, Vol. 44, pp. 305-315. "Unless an intention to the contrary shall be shown. "-This means, unless there is an intention to revive the part revoked before the revocation of the whole. For revival generally, see Halsbury's Laws of England, Vol. 28, pp. 575, 576, and the English and Empire Digest, Vol. 44, pp. 365-370. The section does not apply to cases where the thing meant to be given is gone. Thus, where a testatrix devised all her freehold messuages in S. to trustees in trust to sell and stand possessed of the proceeds in trust for A, and gave the residue of her personal estate to the trustees in trust for B, and after the date of her will sold the houses and conveyed them to the purchaser, and he deposited the conveyance and the title deeds thereof with her, to secure part of the purchase-money, it was held that the security and the money due on it did not pass under this section to the trustees in trust for A, but to the trustees in trust for B (Moor v. Raisbeck (1841) 12 Sim. 123, 139). So, also, where a testatrix devised a real estate and afterwards sold it and the purchase was not completed until after her death, it was held that the purchase-money belonged to the personal representatives, and not to the devisees of the testatrix, notwithstanding her lien on the estate for the purchase-money, and notwithstanding this section (Farrar v. Winterton (Earl) (1842), 5 Beave 1). "The beneficial interest in the land which she had devised was not at her disposition but was by her act, wholly vested in another at the time of her death, and the case is clearly distinguishable from cases in which testators, notwithstanding conveyances made after the dates of their wills, have retained estates or interests in the property which remain subject to their disposition." For modes of failure of a gift, see, generally, the English and Empire Digest, Vol. 44, pp. 403-416. This section only applies to the real and personal estate comprised in it, and not to the objects of the testator's bounty (Re Coley, Hollinshead v. Coley,  2 Ch. 102 ; Amyot v. Dwarris  A.C. 268). Previously to the passing of the Act a gift of a testator's real and personal estate was construed as passing the real estate belonging to the testator at the time when the will was made only, and the personal estate which belonged to the testator at the time of his death (Jarm. on Wills, 5th Edn., p. 290). Since the Act, a will must, unless it shows a contrary intention, be construed as if the condition of things to which it refers was that immediately before the testator's death (Higgins v. Dawson  A.C. 1, per Lord HALSBURY, at p. 7; Re Reeves, Reeves v. Pawson,  1 Ch. 351; and see Halsbury's Laws of England, Vol. 28, pp. 680, 681, 691, 692, and the English and Empire Digest, Vol. 44, pp. 534-536, 645-654). "Unless a contrary intention shall appear by the will. "-The contrary intention must be found in the will (Boyes v. Cook (1880), 14 Ch.D. 53, 57); but it is not necessary that such contrary intention should be expressed in so many words, or in some way quite free from doubt; but it is to be gathered by adopting, in reference to the expression used by the testator, the ordinary. rules of construction applicable to wills (Cole v. Scott (1849) 1 Mac. & G. 518; and see Re Wells, Hardisty v. Wells (1889), 42 Ch. D. 646; Re Evans, Evans v. Powell  1 Ch. 784; Emuss v. Smith (1848), 2 De, G. & Sm. 722; Saxton v. Saxton (1879), 13 Ch. D. 359; Douglas v. Doughlas (1854), Kay 400; Re Bancroft, Bancroft v. Bancroft,  1 Ch. 577; and, generally, the English and Empire Digest, Vol. 44, pp., 647, 648. As to the introduction of the word "now" into the gift, see Cole v. Scott (1849), 1 Mac. & G. 518 at p. 528, and, generally, the English and Empire Digest Vol. 44, pp. 648, 649. The section now applies to the wills of married women (see note to S. 8, p. 440, ante). The section applies only to the case where the residuary devise is so worded as to apply universally to all land of the testator that is not otherwise disposed of (Springett v. Jennings (1871), 6 Ch. App. 333, 338), and not to the case where the gift is only of a particular residue, as such a gift is in effect specific (Re Brown (1855 ), 1 K. & J. 522, per PAGE WOOD, V.C. at p. 526). With regard to copyholds and their extinction since January 1, 1926, see Preliminary Note, p. 433, ante. With regard to leaseholds, see Re Holt, Holt v. Holt,  2 Ch. 17, and, generally, the English and Empire Digest, Vol. 44, pp. 660, 661. "Contrary intention. "-See note to s. 24, p. 445, ante and Wilson v. Eden (1852) 16 Beav. 153; Prescott v. Barker (1874), 9 Ch.App. 174, and Re Guyton and Rosenberg  2 Ch. 591. The section extends only to general powers and not to particular or restricted powers (Cloves v. Awdry (1850), 12 Beav. 604); see, generally, on this section, the English and Empire Digest, Vol. 37, pp. 435-445. For the exercise of powers by will made abroad, see Re Lewal, Gould v. Lewal  2 Ch. 391; Re Strong, Strong v. Meissnner (1925), 95 L.J. Ch. 22, and, generally, the English and Empire Digest, Vol. 11, pp. 381-386. The effect of this section is that, in the absence of a contrary intention appearing by the will, a general devise of real estate includes any real estate over which the testator may at his death (see ss. 23, 24, p. 445, ante, and Stillman v. Weedon (1848), 16 Sim. 26) have a general power of appointment and operates as an exercise of the power, and a general bequest of personal estate includes any personal estate over which the testator may at the like period have a general power of appointment, and operates as an exercise of such power. For the exercise of such a power by a British subject living abroad, see Re Simpson,  1 Ch. 502. In the exercise of particular or restricted -powers (and of general powers before this Act came into operation) the power must be referred to in the will or the property over which the power extended must be mentioned to show that the testator intended that his disposition should operate upon such property, or there must be in the will some other clear internal evidence of an intention to exercise the power. For the exercise by will of a non-existent power, the creation of the power subsequent to the will, and the confirmation of the will including the exercise by a codicil, see Re Bower, Bower v. Mercer (1929), 141 L.T. 639. See also Wrigley v. Lowndes,  P. 348; Re Wilkinson's Settlement Butler v. Wilkinson,  1 Ch. 620; and, generally, the English and Empire Digest, Vol. 37 pp. 446-460. As to what amounts to a contrary- intention, see Re Gannon, Spence v. Martin,  1 I.R. 86, and, generally, the English and Empire Digest, Vol. 44, pp. 952, 953. The provisions of this section have since been in effect extended to conveyances inter vivos; see s.60 of the Law of Property Act, 1925 (c. 20), Vol. 15, title REAL PROPERTY, p. 237; and see ss. 30, 31, p. 448 post. In wills made before January 1, 1838, the words "die without issue" were construed to mean the death of the person spoken of, and failure of his issue at the time of his death or at any time afterwards, unless the context shows the meaning to be confined to a failure of issue at the time of his death and the rule applied both to real and personal estate (Hawk, Wills, 2nd Edn. p. 257). The object of the section is to redress the inconvenience arising from the words "dying without issue" or similar words having acquired a legal meaning different from the popular meaning (Greenway v. Greenway (1859), 1 Giff. 131). The express exceptions and proviso which are mentioned in the latter part of the section are intended to define the cases in which an intention contrary to the rule may appear by the will (ibid. p. 136). For a consideration of this section, see Halsbury's Laws of England, Vol. 28, pp. 833-840, and for cases, see the English and Empire Digest, Vol. 44, pp. 1118-1150. See note to s. 31, post. Before the Act came into operation a devise of real estate would in the absence of words of limitation pass only a life estate unless there were expressions in the will showing clearly an intention that some other or greater estate should pass. It must be borne-in mind that the only legal estate or interest that can now be created or subsist in land is an estate in fee simple absolute in possession or a term of years absolute (Law of Property Act, 1925 (c. 20), s.1(1), Vol. 15, title REAL PROPERTY, p. 177). See also Re Collins, Towers v. Collins,  1 Ch. 201, and Re Barrat Body v. Barrat,  1 Ch. 336; Re Dawson's Settled Estates,  1 Ch. 421. Entailed interests may now be created by way of trust in personal as well as in real property, and all statutory provisions relating to estates tail in real property apply to entailed interests in personal property (see Law of Property Act, 1925 (c. 20), s.130(1), Vol. 15, title REAL PROPERTY, p. 308). As to the power of a tenant in tail in possession to dispose of property by specific bequest or devise, see the Law of Property Act, 1925 (c. 20), s.176, Vol. 15, title REAL PROPERTY, p. 358. Apart from this section, a devise or bequest lapses, i.e. fails, if the devisee or legatee dies in the testator's lifetime. See, generally, the English and Empire Digest, Vol. 44, pp. 492-502. Property saved from lapse by the section will pass, generally, by the will of the "child or other issue" who dies before the testator just as if he had lived to possess it (Johnson v. Johnson (1843), 3 Hare 157). But if the devise or bequest of the "child or other issue" is made to the original testator himself, it fails, and the property devolves as if the "child or other issue" had died intestate (Re Hensler, Jones v. Hensler (1881), 19 Ch.D. 612). This section does not apply where the devise or bequest is to the testator's children as a class (Browne v. Hammond (1858), 70 E. R. 400; Re Harvey's Estate, Harvey v. Gillow,  1 Ch. 567). See, generally, the English and Empire Digest, Vol. 44, pp. 502-506. The testator may insert a provision in his will against the possibility of lapse (Re Morris, Corfield v. Weller (1916), 86 L. J. Ch. 456; the English and Empire Digest, Vol. 44, pp. 501, 502.